Objectives. Many systemic diseases including cardiovascular disturbances have been described in psoriatic patients. In the previous studies, left ventricle (LV) subclinical myocardial dysfunction was reported in the psoriasis patients. The T-wave peak to end (Tp-e) interval is a relatively new marker for ventricular arrhythmogenesis and repolarization heterogeneity. Prolongation of this interval represents a period of potential vulnerability to ventricular arrhythmias. However, there is no information available assessing the Tp-e interval and related calculations in patients with psoriasis disease. The aim of this study was to evaluate ventricular repolarization in patients with psoriasis disease by using QT, corrected QT (QTc) and Tp-e interval, Tp-e/QT ratio, and Tp-e/QTc ratio. Methods. In this study, retrospective analysis of 30 patients who underwent the psoriasis treatment and of 30 healthy individuals was performed. The severity of the disease was evaluated by the “Psoriasis Area and Severity Index”. QT, corrected QT (QTc), Tp-e interval and Tp-e/QT ratio were measured by means of the 12-lead electrocardiogram. Left ventricular function was evaluated by echocardiography. Results. Baseline characteristics and QT and QTc intervals were similar in both groups. No difference was detected between the groups with regards to Tp-e interval (83.0±9 vs 82.3±10; p=0.81), Tp-e/QT (0.22±0.03 vs 0.23±0.04; p=0.3) and Tp-Te/QTc (0.20±0.04 vs 0.19±0.04; p=0.77). Conclusions. These findings suggest that ventricular repolarization in mild to moderate psoriasis patients might be unimpaired. Larger samples and severe degree psoriasis patients are needed to evaluate the arrhythmia risk in psoriasis patients. Parisi R, Symmons DP, Griffiths CE, Ashcroft DM, Identification and Management of Psoriasis and Associated ComorbidiTy (IMPACT) project team. Global epidemiology of psoriasis: a systematic review of incidence and prevalence. J Invest Dermatol. 2013 Feb;133(2):377-85. Tseng HW, Lin HS, Lam HC. Co-morbidities in psoriasis: a hospital-based case-control study. J Eur Acad Dermatol Venereol. 2013 Nov;27(11):1417-25. Ryan C, Menter A. Psoriasis and cardiovascular disorders. G Ital Dermatol Venereol. 2012 Apr;147(2):179-87. Armstrong AW, Schupp C, Bebo B. Psoriasis comorbidities: results from the National Psoriasis Foundation surveys 2003 to 2011. Dermatology. 2012;225(2):121-6. Mehta NN, Azfar RS, Shin DB, Neimann AL, Troxel AB, Gelfand JM. Patients with severe psoriasis are at increased risk of cardiovascular mortality: cohort study using the General Practice Research Database. 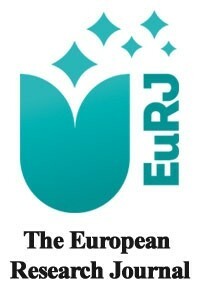 Eur Heart J. 2010 Apr;31(8):1000-6. Shang Q, Tam LS, Yip GW, Sanderson JE, Zhang Q, Li EK, et al. High prevalence of subclinical left ventricular dysfunction in patients with psoriatic arthritis. J Rheumatol. 2011 Jul;38(7):1363-70. Shang Q, Tam LS, Sanderson JE, Sun JP, Li EK, Yu CM. Increase in ventricular-arterial stiffness in patients with psoriatic arthritis. Rheumatology (Oxford). 2012 Dec;51(12):2215-23. Zhao CT, Yeung CK, Siu CW, Tam S, Chan J, Chen Y, et al. Relationship between parathyroid hormone and subclinical myocardial dysfunction in patients with severe psoriasis. J Eur Acad Dermatol Venereol. 2014 Apr;28(4):461-8. Smetana P, Schmidt A, Zabel M, Hnatkova K, Franz M, Huber, et al. Assessment of repolarization heterogeneity for prediction of mortality in cardiovascular disease: peak to the end of the T wave interval and nondipolar repolarization components. J Electrocardiol. 2011 May-Jun;44 (3):301-8. Gupta P, Patel C, Patel H, Narayanaswamy S, Malhotra B, Green JT, et al. T(p-e)/QT ratio as an index of arrhythmogenesis. J Electrocardiol. 2008 Nov-Dec;41(6):567-74. Louden BA, Pearce DJ, Lang W, Feldman SR. A Simplified Psoriasis Area Severity Index (SPASI) for rating psoriasis severity in clinic patients. Dermatol Online J. 2004 Oct 15;10(2):7. Lang RM, Badano LP, Mor-Avi V, Afilalo J, Armstrong A, Ermande L, et al. Recommendations for cardiac chamber quantification by echocardiography in adults: an update form the American Society of Echocardiography and the European Association of Cardiovascular Imaging. Eur Heart J Cardiovasc Imaging. 2015 Mar;16(3):233-70. Castro Hevia J, Antzelevitch C, Tornés Bárzaga F, Dorantes Sánchez M, Dorticós Balea F, Zayas Molina R, et al. Tpeak-Tend and Tpeak-Tend dispersion as risk factors for ventricular tachycardia/ventricular fibrillation in patients with the Brugada syndrome. J Am Coll Cardiol. 2006 May 2;47(9):1828-34. Schön MP, Boehncke WH. Psoriasis. N Engl J Med. 2005 May 5;352(18):1899-912. Fridewald VE Jr, Cather JC, Gordon KB, Kavanaugh A, Ridker PM, Roberts WC. The editor’s roundtable: psoriasis, inflammation and coronary artery disease. Am J Cardiol. 2008 Apr 15;101(8):1119-26. Kremers HM, McEvoy MT, Dann FJ, Gabriel SE. Heart disease in psoriasis. J Am Acad Dermatol. 2007 Aug;57(2):347-54. Simsek H, Sahin M, Akyol A, Akdag S, Ozkul HU, Gumrukcuoglu HA, et al. Increased risk of atrial and ventricular arrhythmia in long-lasting psoriasis patients. ScientificWorldJournal. 2013 Apr 3;2013:901215. Calapkorur B, Kelesoglu S, Sarli B, Turasan A, Arinc H, Kaya MG. Atrial electromechanical delay is impaired in patients with psoriasis. Med Princ Pract. 2015;24(1):30-5. Liu T, Li G. Is atrial fibrillation an inflammatory disease? Medical Hypotheses. 2005;64(6):1237-8. Liu T, Li G, Li L, Korantzopoulos P. Association between C-reactive protein and recurrence of atrial fibrillation after successful electrical cardioversion: a meta-analysis. J Am Coll Cardiol. 2007 Apr 17;49(15):1642-8. Korantzopoulos P, Kolettis TM, Galaris D, Goudevenos JA. The role of oxidative stress in the pathogenesis and perpetuation of atrial fibrillation. Int J Cardiol. 2007 Feb 7;115(2):135-43. Proietti I, Raimondi G, Skroza N, Pampena R, Bernardini N, La Viola G, et al. Cardiovascular risk in psoriatic patients detected by heart rate variability (HRV) analysis. Drug Dev Res. 2014 Nov;75 Suppl 1:S81-4. Kors JA, Ritsema van Eck HJ, van Herpen G. The meaning of the Tp-Te interval and its diagnostic value. J Electrocardiol. 2008 Nov-Dec;41(6):575-80. Antzelevitch C, Sicouri S, Di Diego JM, Burashnikov A, Viskin S, Shimizu W, et al. Does Tpeak-Tend provide an index of transmural dispersion of repolarization? Heart Rhythm. 2007 Aug;4(8):1114-6; author reply 1116-9. Maradit-Kremers H, Icen M, Ernste FC, Dierkhising RA, McEvoy MT. Disease severity and therapy as predictors of cardiovascular risk in psoriasis: a population-based cohort study. J Eur Acad Dermatol Venereol. 2012 Mar; 26(3):336-43. Radtke MA, Langenbruch AK, Schäfer I, Herberger K, Reich K, Augustin M. Nail psoriasis as a severity indicator: results from the PsoReal study. Patient Relat Outcome Meas. 2011 Jul:2:1-6.